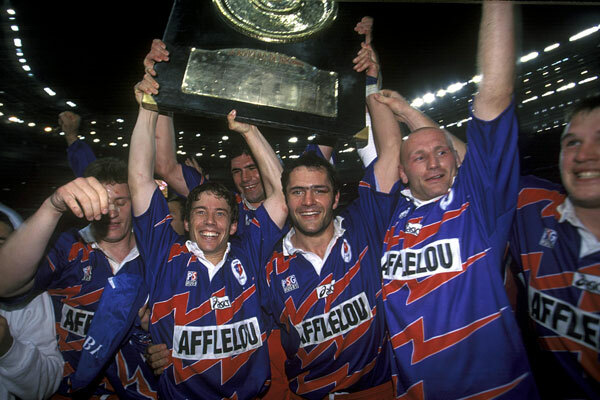 Stade’s famous lightning bolts were first included on their shirts by ASICS in the title-winning 1996 season, and they remain the cornerstone of the company’s design approach for their home shirt. The front of the home shirt is an interlocking pattern of lightning bolts rendered in shades of pink and blue, which is apparently inspired by the ‘Timeless elegance of the capital, and Parisian Haute Couture’. Er, alright. Yup. If the home shirt had you wondering if ASICS and Stade had gone and grown up a little bit, well hopefully the change jerseys will enthusiastically and completely remove such crazy thinking from your mind. Yup, gone are the lightning bolts, and replaced with a pattern of fleur de lys and… Space Invaders. 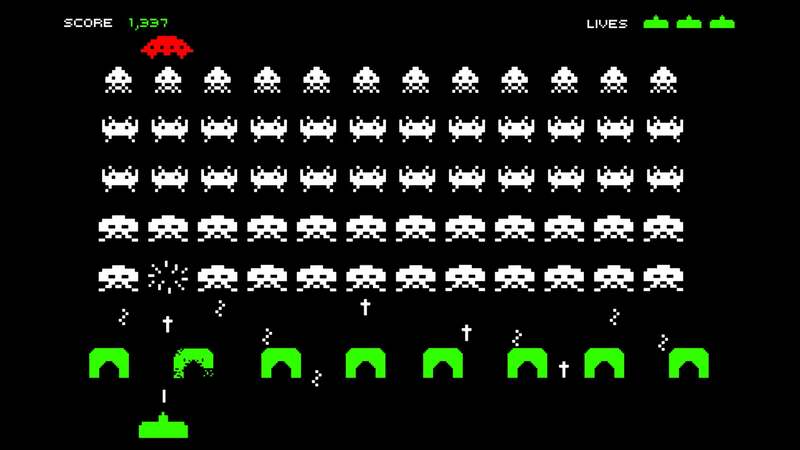 Yes, your eyes do not deceive you, Space Invaders! Both rendered in all their wonderful eight-bit glory. Set against all that, the fact that the shirt itself is a shocking shade of pink contrasted with rather lovely sky blue accents seems rather besides the point, but it’s no less than a shirt like this deserves. Some people might think this is all a bit too much, but given Stade’s rather incomparable track record of batshit crazy shirts, we think this is all kinds of cool, classic and of course, bloody ruddy unique. The third shirt is identical to the away, but in white and pink, and also adds an graph paper-style pattern to the background on the front of the shirt, adding to the retro computer game vibe of those Space Invaders. 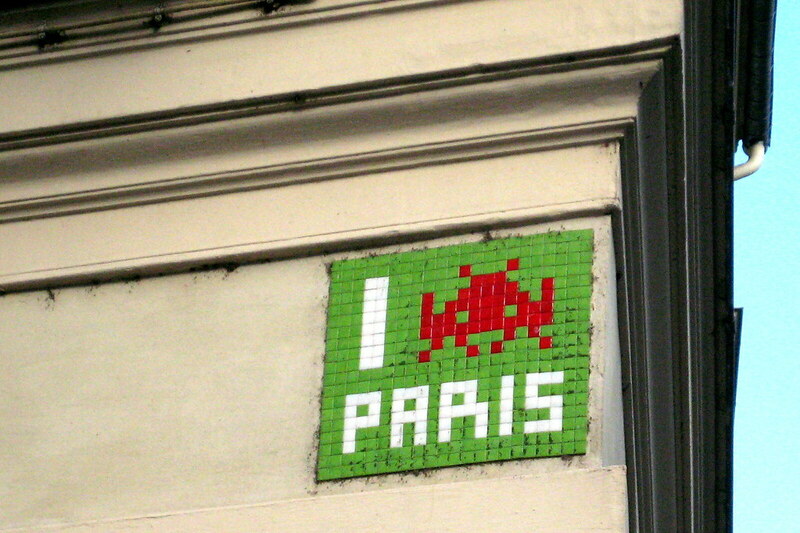 About those all-important sprites – the PR blurb says that the pattern is inspired by ‘Parisian street art’, but we think that it’s actually a nod to something more specific – namely the famous eight-bit mosaic street artist, Invader. Cool, subtle, cosmopolitan… none more Stade. So, three awesome, eye-catching shirts then… but they’re not just any shirts. Oh no, according to Stade and ASICS, they’re much, much more batshit crazy than that. You see, these shirts are so unique, ASICS and Stade have decided to give them a voice – to quote the press release, “it has its own history, its own past, its own character, world, hobbies, sense of humor, favorite music, films, beliefs, etc.” So over the course of the season, they’ll turn the various Stade social media channels over to the jersey so it can tell us all about them. We’re not making that up, honestly. Look here, you can see it for yourself. So yeah, if you want to know what a rugby shirt’s favourite film is, or indeed what hobbies it has (splitting its time between the changing room peg and the washing machine we’re guessing), then you’ll want to follow Stade on Twitter or something. That might be the single silliest thing we’ve ever written about on this site, but given how utterly ridiculous these shirts are, it fits in perfectly. Whatever their sense of humour, however, there’s no getting away from the fact that these are stunning, memorable designs.